BUT, today I have an exciting project to write about!! 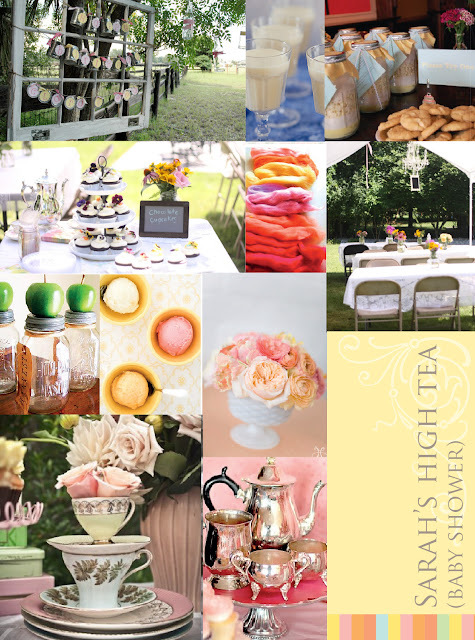 I have managed to convince her that not all baby showers need to be full of baby associated decorations and games and she is allowing me to throw her a vintage inspired high tea! Today we met at her Mum's place, where the event will be hosted to scope the area and talk details. As mentioned, the theme is vintage inspired, with a secondary theme of "apples" as that is what my friend and her partner call the baby as a pet name while in utero. This fits in perfectly with our summer sorbet colour palette too!